Last night, I had the pleasure of attending a screening for Dice's big reveal of Battlefield 4 at the Metreon in San Francisco. Upon arrival, everything was pretty hush hush until we were actually seated in a theater. We were told that the trailer we were to see would be pure gameplay. Pure single-player gameplay. 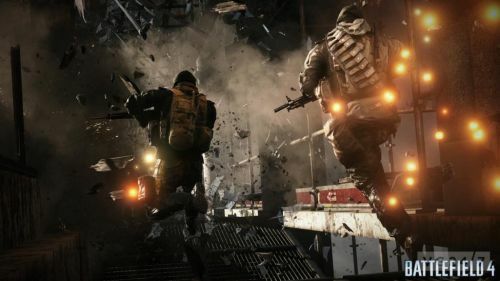 Dice is a company known for developing engaging multiplayer epics. To my displeasure, the only thing that was revealed last night was a 17 minute video of a single-player campaign experience that can now be viewed on Youtube. No discussion was made about the multiplayer aspect of the game. Dice instead opted to reveal those details at a later date. Page created in 0.5434 seconds.